Another year draws to its close – and what a year it’s been for Kathy and me! 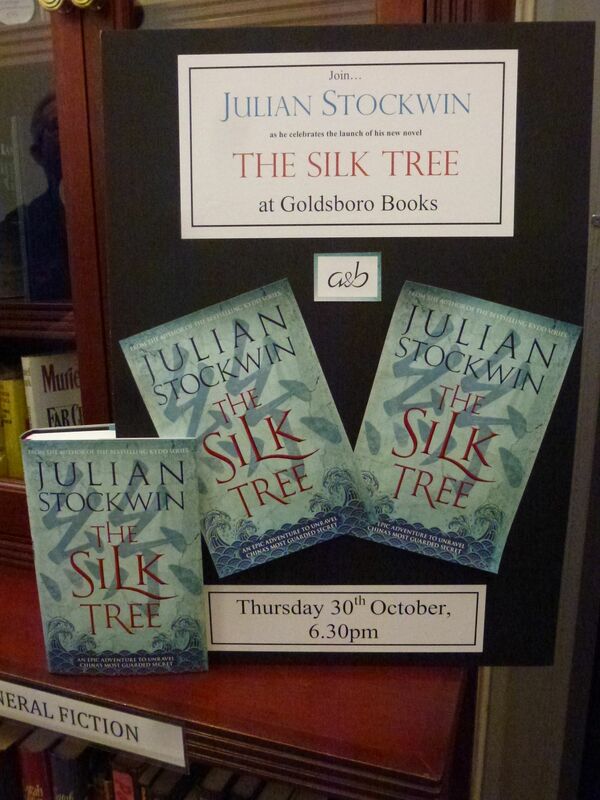 As well as Pasha, the latest in the Kydd series, I brought out a historical standalone, The Silk Tree, which was launched at a splendid party in London in October. 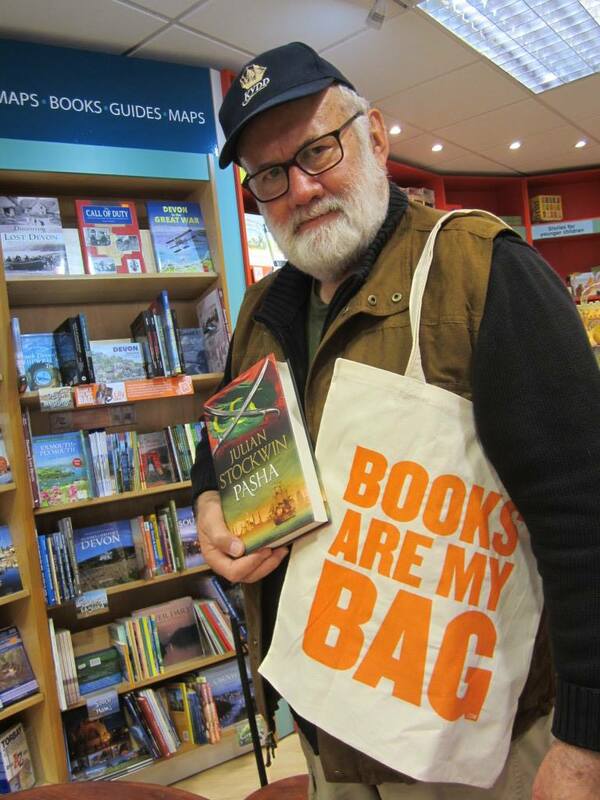 Signing events took me far and wide across the Southwest and to London and I was particularly chuffed to take part in the Books Are My Bag Day a few months back. 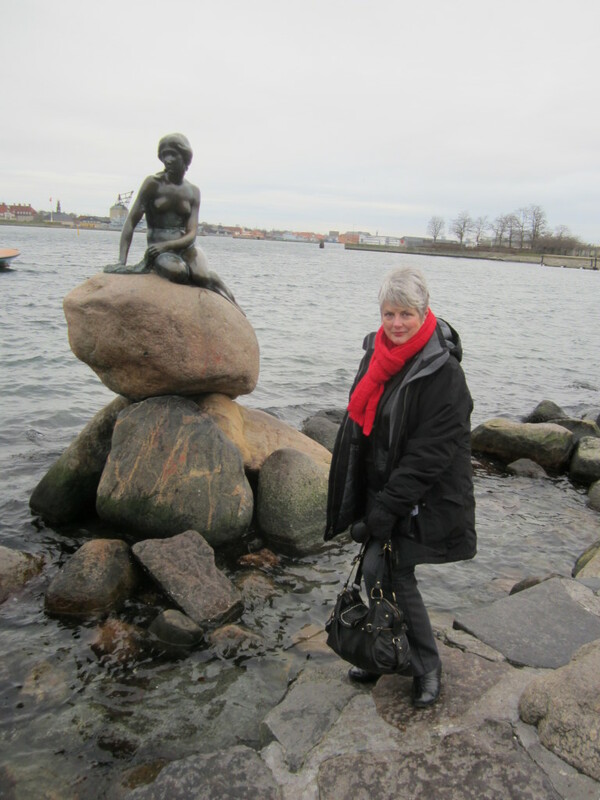 Location research trips necessitated travel to Denmark and the Iberian peninsula, the former in the depth of winter, the latter at the height of summer! In Denmark it was an added bonus to be able to catch up with some of my colleagues from my days in the Navy. Among them was Orlogskaptajn Tonny Larsen, who sadly passed away this month. He shall be sorely missed by family and friends, and trained in square sail and on the other side in the Iceland Cod War, was the man who taught me why Danes and their nation are deservedly great. It was fun taking part in the Christmas Party Blog Hop with 25 fellow authors. Their varied contributions make fine festive reading and a number are offering prizes so do take a read of their offerings. On January 1, I send off the manuscript of my next book to my publisher. The title is under wraps at the moment but I think I can promise you a few surprises… As usual, I will be offering a Collectors Set, strictly limited to 500 sets – and further details will be on the website early in the New Year. It just remains to wish you all a happy and peaceful Christmas and New Year. Happy festive season. My 2015 is going to all the better for being able to read the next (your last) Kydd book, which i hope will have reached NZ! I haven’t seen a copy in bookshops either Julian however, managed to get a copy at Auckland City Libraries’. Really enjoyed reading it. Another good dit from the Master. Many thanks for your Christmas greetings and please accept mine in return. Looking forward to your next book as they are tea leafed by my friends as soon as I finish reading them. I just finished “Pasha” and loved it. I can’t wait for the next adventure. Thank you Julian! Thank you, John! And all the best for Christmas. Thank you, Julian, for the days and hours of entertainment and wonder that you provide every year. It’s no longer just about the book. Merry Christmas and a fabulous New Year ! Good to see my old friend ‘Den Lille Havfrue’ in Copenhagen. I was Third Mate in the Wilson Liner ‘Aaro’ for a couple of years in the early 60’s and we used to berth at Nord Toldboden, right by the statue, every other week to discharge a general cargo before moving to Christiansbrygge to load bacon, beer and furniture for London. DFDS had a ship operating on the alternative week. Dear BigJules. May I send a Christmas thought speeding your way this morning? I can? Great! To you dear Julian, your wife, and all dear folk who are in your family circle and further afield as your dedicated fans; so many thanks for the hours of reading pleasure and excitement that your writings have provided over the years. Long may you be enabled to “lift our spirits” – “thrill our imaginations” and set us all forth on whirlwind adventures with the noble “Kydd”. On this Christmas of 2014 I can only say “Clear decks and up spirits” Cheers. George. And Christmas greetings to you, George! Many thanks for your Christmas Wishes. May Christmas Day bring you and Kathy peace and enjoyment and 2015 health, wealth and happiness.